Dreams Unlimited Travel has a customer service office in Cape Canaveral, FL – just 1 mile from the Disney Cruise Line terminal. Located inside the DISBoards.com Welcome Center, this location will serve as a place where you can come for a visit, enjoy complimentary refreshments and snacks, as well as complimentary Wi-Fi. 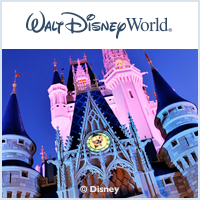 Dreams Unlimited Travel staff are on hand to assist you with anything you may need - from suggestions on what to do in the Cape Canaveral area, making priority seating arrangements at Walt Disney World and a host of other services. You can also take comfort in knowing that this location is staffed whenever a Disney Cruise Line ship is in port – should something unexpected happen and you require assistance from Dreams Unlimited, we’re just a phone call away. The Welcome Center is open Monday, Thursday and Friday from 10AM to 5PM, and on Saturday and Sunday from 9AM to 3PM (these hours are subject to change based on when Disney ships are in port). You can call the center toll-free at 855-227-3155. The address for the Welcome Center is 6550 North Atlantic Ave, Suite B, Cape Canaveral FL 32920. If you are using FLTours (www.fltours.com ) for your transportation to or from the cruise terminal, they are offering a complimentary 30 minute stop at the Welcome Center. Dreams Unlimited Travel clients that visit our Welcome Center will receive a special gift. THANK YOU for choosing Dreams Unlimited Travel. We really do appreciate your business and we hope your upcoming vacation is a magical one!